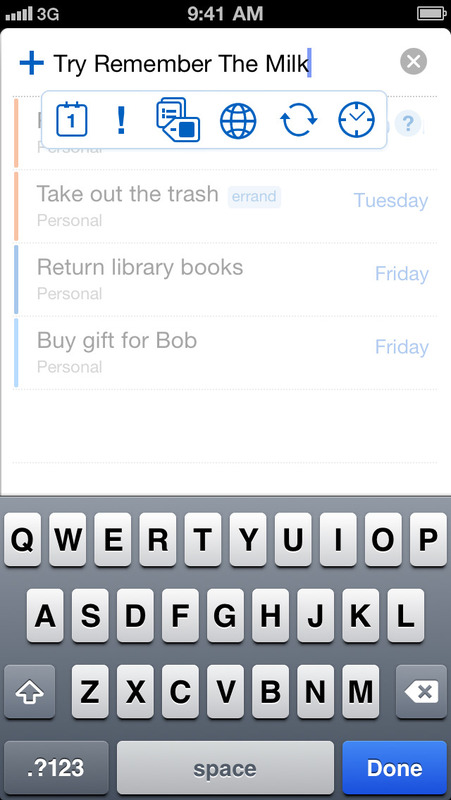 • Search your tasks and notes, and save your favorite searches as Smart Lists. 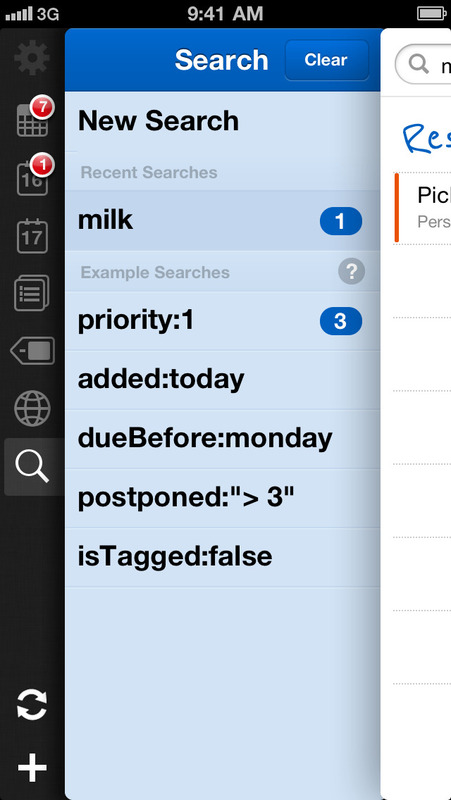 • Get reminded via email, SMS, and instant messenger; see rmilk.com/reminders to set up. • And more! See rmilk.com/ios for details. • Unlimited auto-syncing with Remember The Milk online. 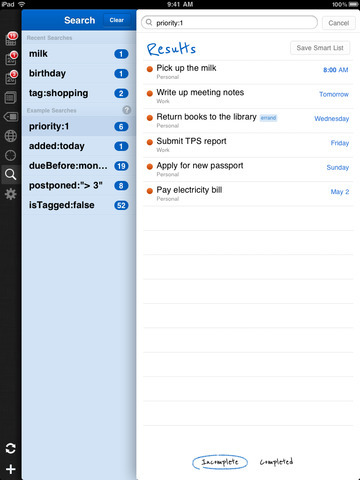 • Keep in sync with your tasks on multiple devices. • Push Notification reminders and badge updates. • Updates for iOS 8. • Includes support for iPhone 6 and iPhone 6 Plus.